Magnetic bookmarks made from paperlyandco! They are both handsome characters from The Lunar Chronicles (which I have yet to read) but they are super adorable and who doesn’t love magnetic book marks honestly? One of my favorite items in the box is actually this amazingly huge bath bomb from Fizzy Fairy Apothecary! All proceeds from this bath bomb are actually donated to charity, and there was a wonderful story behind the naming of the bomb also. This is super cool to me and I am really glad that Bailey included a “do good” item. It’s useful (I love bathbombs) and meaningful and I really appreciated it. Book Boyfriend Box hosted a short story contest back in December, and the winner’s story was published and included in the box! This is also really neat of Bailey and the BBB team to incorporate and include the writing community in their subscription box, it’s certainly unique! Lastly, this box included not just one, but TWO books! All of the boxes for February had to be shipped in larger boxes and via FedEx since not all of these goodies would fit in the regular boxes, which I find hysterically amazing. The Ascenders by C.L. Gabers, an Indie read about an after life high school, that came signed! There was also a cool bookmark that went with it to match; YAY for more bookmarks! 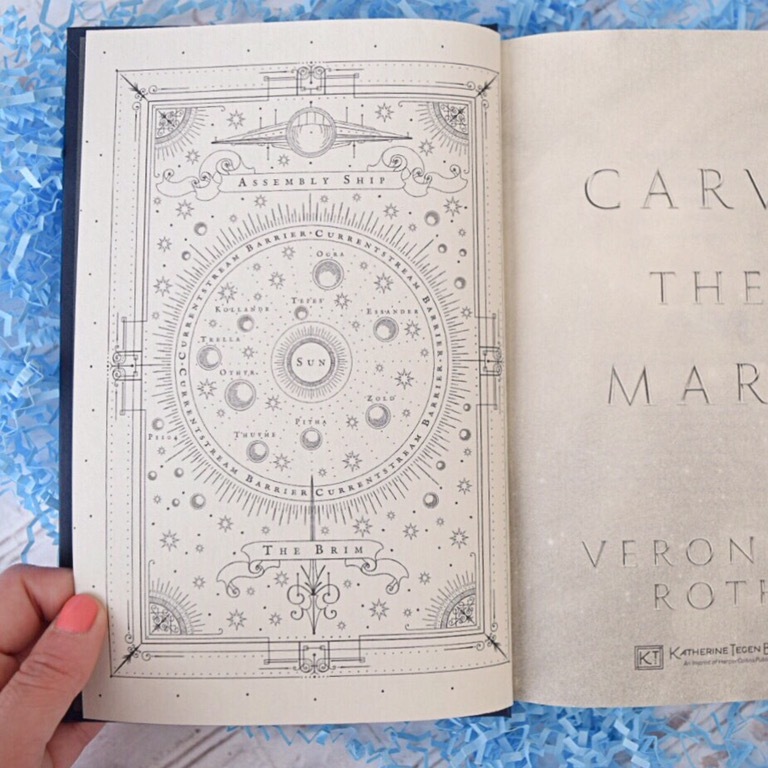 Carve the Mark by Veronica Roth, the newly released space drama that is garnering a lot of attention because of its racist and ableist themes. I personally haven’t decided if I am going to read it or not; I do know that if I choose too, it wont be to ‘decide for myself if its racist or not’. I don’t think that is up to me to decide. If I read the book, it would be more for the reason that I know I wouldn’t have picked up on the problematic aspects of the book by myself, and I would use this as a learning experience. Overall I felt like this was another really solid box from the BBB Team. I however, cannot contain my excitement for the April box, which is Beauty and the Beast themed! I personally love the super specific themed boxes, and this particular box is going to feature a full size Funko (and Lord knows how much we all like Funko Pops). Everyone get excited because this box is going to blow us all away! The April box is currently sold out, but a few spots are going to open up tomorrow, March 1st, at 12 pm MST. If you missed out on the initial scrambling for this box, here is your chance! Don’t forget to use my discount code DEER10 for 10% off your first box! 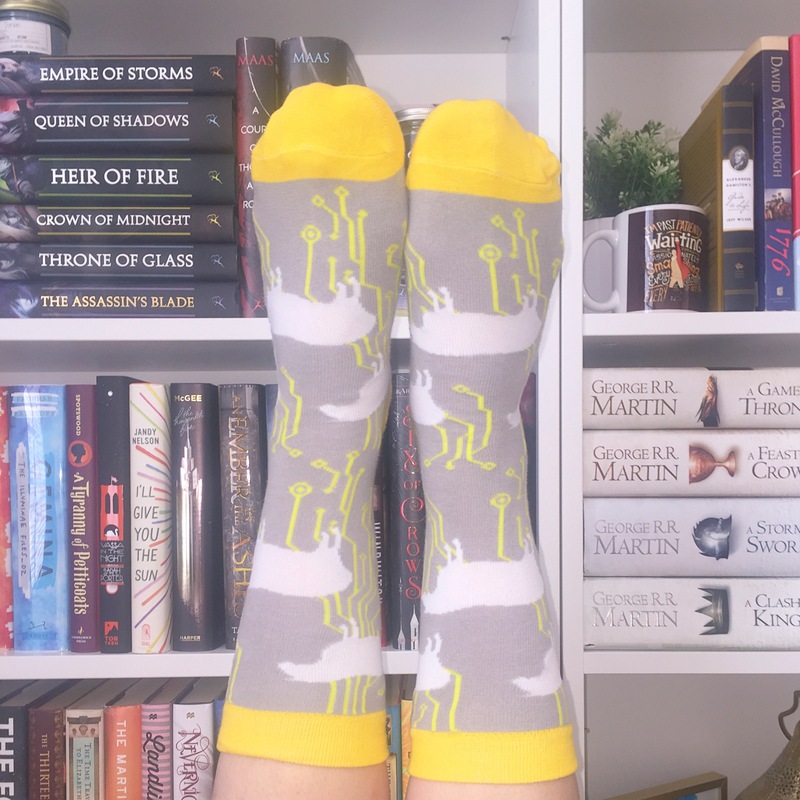 Next postFebruary Wrap Up & Haul! The Markiplier and Pewdiepie bookmarks were the best part, hands down.